I am by no means even close to being an interior decorator. My rooms are relatively bland. I wish I had that ability. I see things I like and ideas I love, but I just can't seem to make them come together. 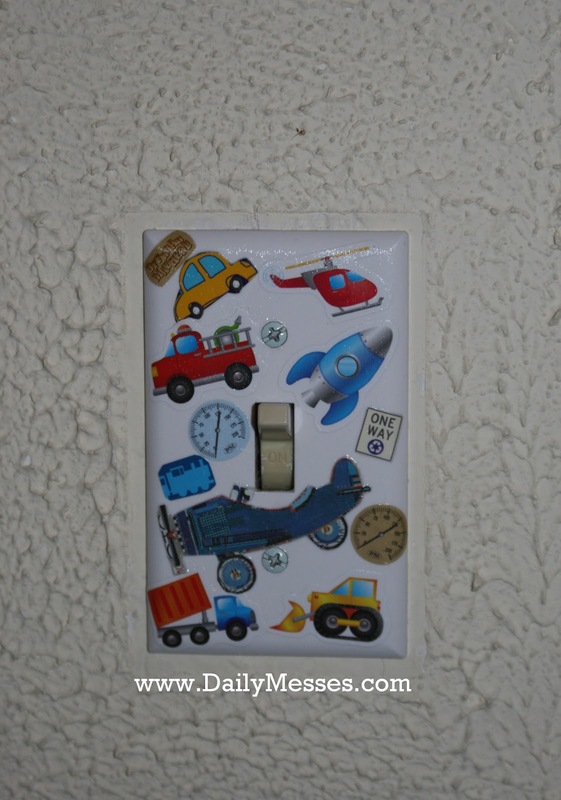 I found an easy way to spruce up a kids room: the light switch covers! 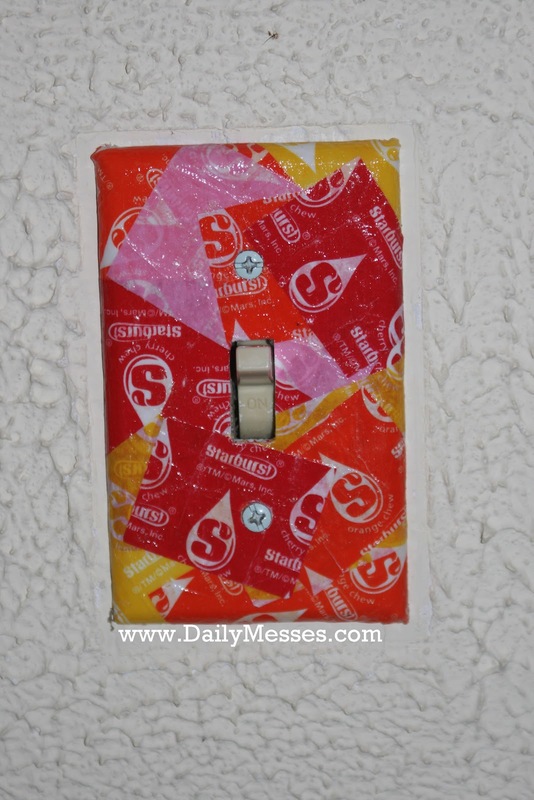 For the craft storage room/kids playroom, I made a Starbursts wrapper light switch cover! I made a cars/vehicles themed one for the boys room. Candy wrappers, paper cut outs, photos, stamps, stickers, etc. 1. If you are using candy wrappers, place between two pieces of paper towel and iron on dry heat to smooth out wrappers. 2. 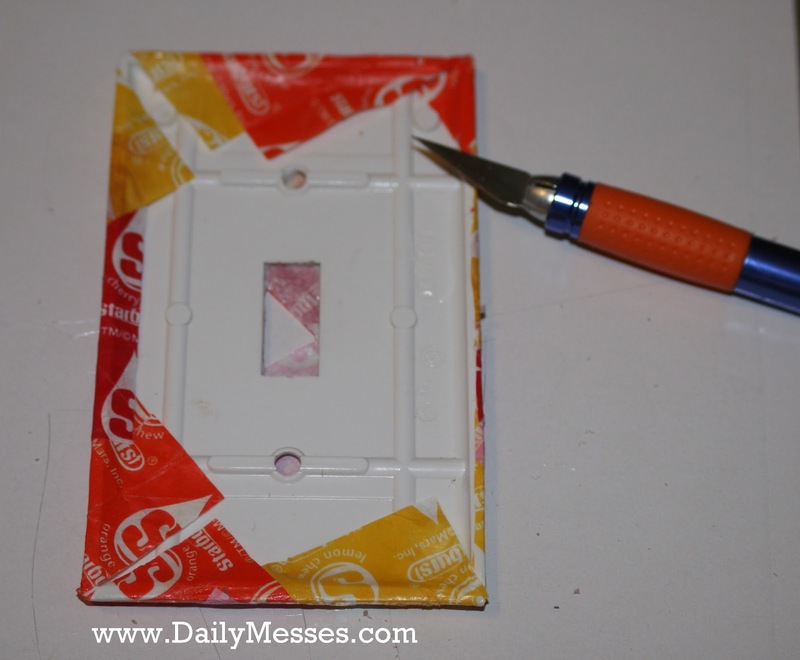 Apply a thin layer of Mod Podge to the cover and arrange your items (stamps, wrappers, etc.). 3. 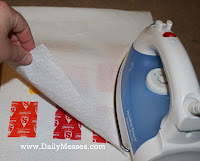 If overlaying items, you will want to add a layer of Mod Podge between layers. 4. Trim any extra at the edges. 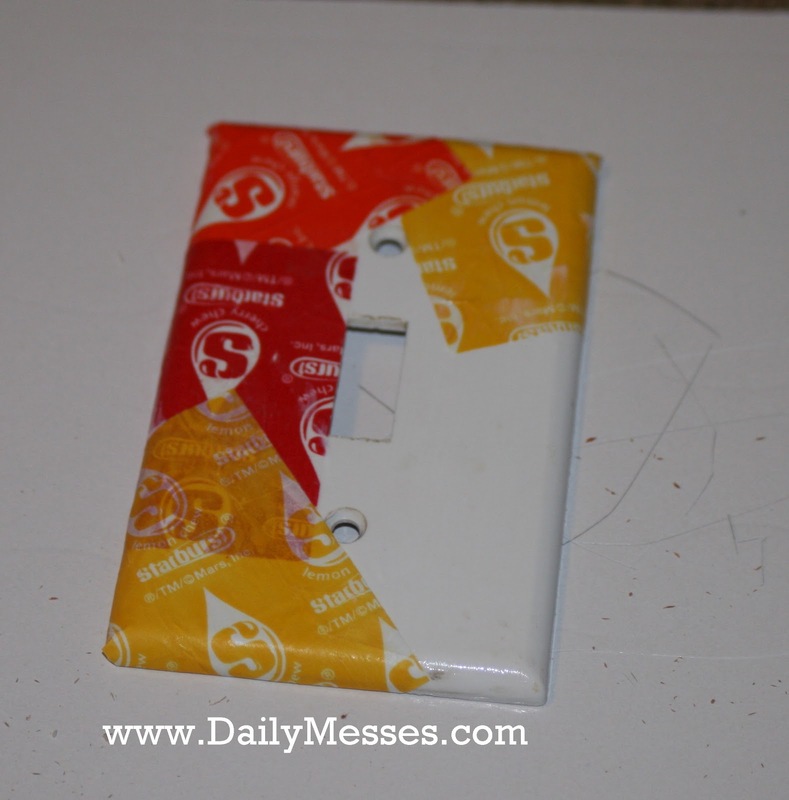 You do not want the wrappers/items to be on the back of the light switch cover for safety reasons...Think electrical fire. 5. Apply a final layer of Mod Podge to the entire covered area and let dry.